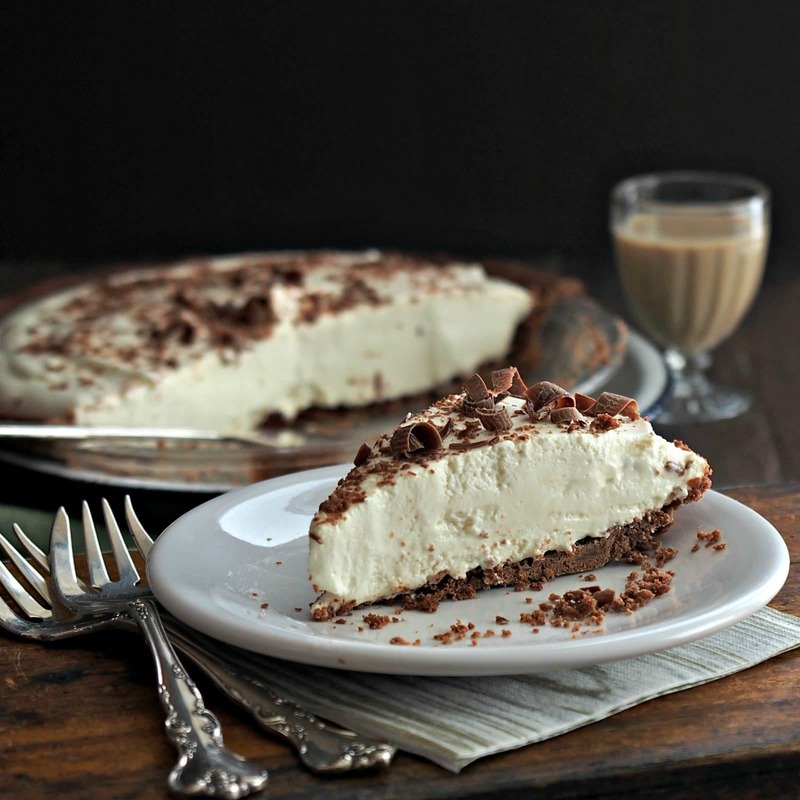 Even if your eyes aren’t Irish, they will be smiling after one bite of this Irish Cream Pie. This pie has a smooth, creamy Irish Cream and marshmallow filling set in a chocolate crust then topped with chocolate curls. It is so heavenly, you just might hear the above mentioned angels singing after eating one slice! In 1976, my in-laws introduced me to Irish Cream. I was surprised to find out whiskey mixed with cream, hints of chocolate, coffee and almond would taste so good. After my first taste, I found out it is best to sip slowly and to keep in mind; Irish whiskey is strong. On the contrary, and with Irish Cream Pie, there is no need for such worries; the filling has the perfect balance of liqueur, marshmallows and cream. Years ago Irish Cream liqueur was only used as it is or included in other alcoholic drinks. Jump forward 40 years, and it is common to see all kinds of recipes that include Irish Cream in the ingredients – recipes such as pancakes, muffins, cookies, cakes, ice creams, candies and so many more. 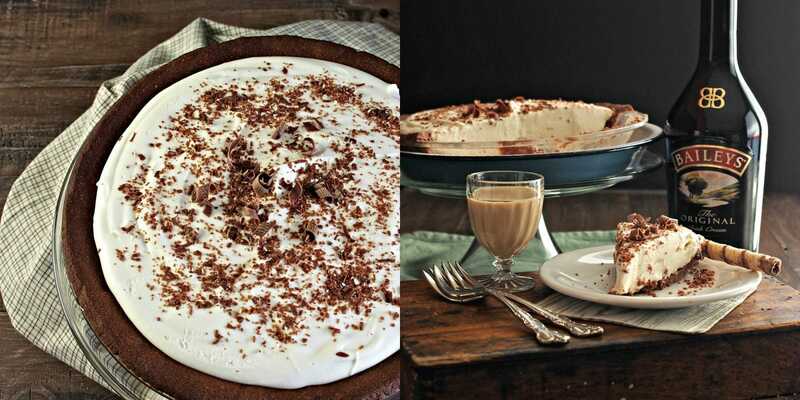 Irish Cream Pie is a fine example how an elixir of cream and whiskey can take a dessert from simple to elegant. 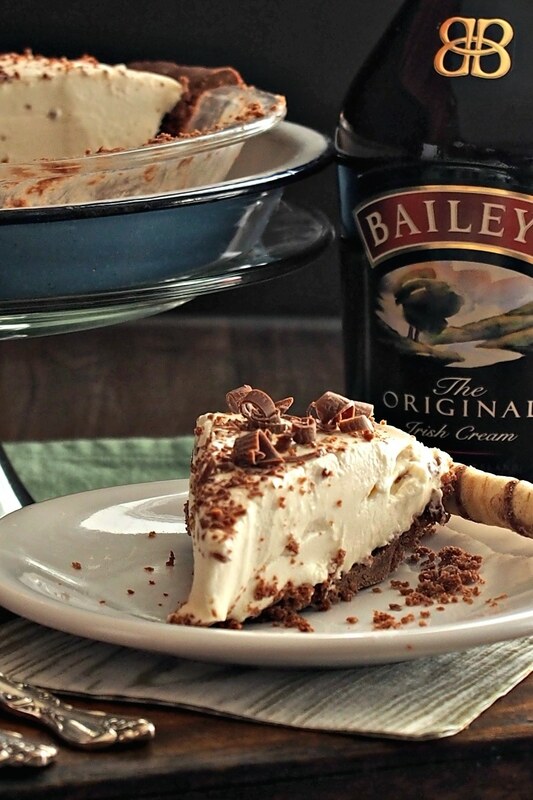 If you want to see smiling eyes all around, serve Irish Cream Pie for dessert tonight. PS. 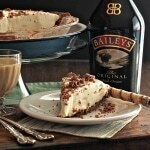 For my homemade version of Bailey’s Irish Cream, click HERE. PPS. The amount of the liqueur is somewhat understated and, in my opinion, perfect. To be certain the taste of liqueur is perfect to your liking, taste-test the filling and adjust the amount before adding the filling to the crust. PPPS. If you prefer a non-alcoholic version, substitute 1/4 cup half-and-half plus 2 tablespoons cold coffee and 1 teaspoon almond extract (or 1/3 cup Irish cream-flavored nondairy liquid creamer) for the Irish Cream. 1/3 cup Irish Cream liqueur *See Notes for substitutions. **See Notes to make the pie non-alcoholic. 1 ½ cups heavy cream whipping cream ***See Notes for substitution. (At this point, the dough can be pressed into the pie pan instead of rolling, but it is easier to get an even crust if rolled out). In a medium saucepan, combine milk and marshmallows. Cook over low heat, stirring continuously, just until marshmallows are melted. Place a paper towel over the bowl then cover with aluminum foil. Refrigerate marshmallow mixture 20-40 minutes, stirring occasionally, until the mixture firms enough to form a mound when dropped from a spoon. If the mixture gets too firm, stir until it warms a little and is smooth and is easy to stir. Slowly, add in the Irish Cream and stir until fully incorporated. In a mixer bowl, beat the heavy cream on HIGH until firmer than whipped cream, but not as thick as butter. Add marshmallow cream mixture and fold in on low speed until fully mixed. Spread the mixture into the cooled pie crust. Cover and refrigerate until set, at least 4 hours. The pie is best eaten within 3 days. Keep covered and refrigerated. Garnish with chocolate shavings or chopped mint chocolate candies, such as Andes Mints. Chocolate graham cracker or store-bought chocolate crust can be substituted. *Other liqueurs or cream liqueurs can be substituted for the Irish Cream, i.e. Frangelico or Kahlua. ***To make a non-alcoholic pie, substitute 1/4 cup half-and-half plus 2 tablespoons cold coffee and 1 teaspoon almond extract (or 1/3 cup Irish cream-flavored nondairy liquid creamer) for the Irish Cream. ****Cool Whip (8 ounces) can be substituted for the whipped cream. I hope it's not mandatory to be Irish, in order to enjoy this dessert. If so then I will be breaking all the rules! Nice job knocking yet another one right out of the ball park; looks incredible!! No, there are no ethnic requirements for enjoying this dessert. You will, however, need to make two versions; Irish Cream version for Scott and you and a teetotaler version for your sons. Thank you, Dan, and thanks for stopping by. Having the maiden name Bailey, I was introduced to this yummy liqueur early on. We always had it w/ desserts, so this makes perfect sense to me. I love the combination of these flavors! Hey Christine. I totally agree - Irish Cream is delicious with ice cream, and it is one of my favorite combinations. Thanks for stopping by today and have a great week. What a delicious looking pie. 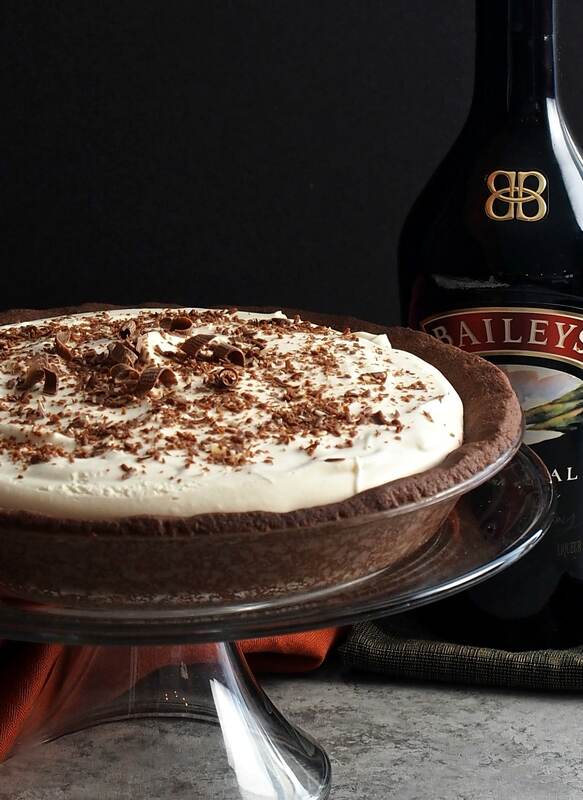 Bailey's is one of my favorite indulgences so I'm sure this pie is off the charts in the taste department. Lovely recipe. Thank you, Janette. One thing I love about this is the Bailey's is understated a bit, so feel free to enjoy two pieces. :-) Thanks for stopping by - I really appreciate it. Susie, your timing is perfect! Just invited the family to come over this weekend for a St Patrick's Day dinner! I know what's up for dessert!! That is fantastic, Angela. Everybody I have served this pie to has loved it. One note - be sure not to overbake the crust. I did overcook mine a little and the crust edge was tough to cut, although still delicious. It was mainly a concern with photographing the pie. I think I am remaking this for family this weekend, too. Thanks for coming by and have a great week. Looks great and i love the Bailey's. Thank you, Peter, and thanks for coming by today. What a fabulous dessert. I love the Irish cream filling - will definitely be making this recipe. Our family will love this even if it's in the middle of summer. I agree with you, Joanne. This is a great dessert for any (or every) day of the year. Thank you and thanks for stopping by. Wow! This pie is just wonderful. I am desperate to try a big slice right now! My husband has been begging me to make this pie again - I know I will very soon. Thank you for your sweet comments, Nic, and thanks for stopping by. Wow, Susie! This is just amazing, and yes, elegant! Love these flavors - hope to try this treat soon! Thank you, Patricia. This pie is so easy and fun. I know you will love it. Thanks for stopping by. What a gorgeous pie Susie! Thanks so much, Nancy, and thanks for coming by. Absolutely fabulous idea Susie! I adore Baileys with my whole heart! So I know I would love this pie! I do love Bailey's, too, Kecia. Thank you for stopping by - I think you will love this pie. That is one gorgeous pie! Thanks so much Mary and thanks for coming by. Hello Pen, I thank you for your question, because I did need to clarify. If heavy cream is whipped too long, it will turn into butter (or a butter-like product). I used to make it for children when I taught preschool years ago. It actually is a simple form of butter, but lacking in a little flavor. For this recipe, beat the cream until firm but not as firm as butter. The cream needs to be thicker than whipped cream but not as thick as butter. I hope this helps and thanks for stopping by. LOVE this post and love these photos, oh, and LOVE THIS PIE!!! I need you to make this for us again. Too delicious! What a gorgeous pie! It looks incrediable! Thank you, Serena, and thanks for coming by. This is my new favorite recipe for St. Patrick's Day. Every time I see this beauty pop up on social media it makes me smile. Had to come by and take a closer look. My office mates are going to love me for this one next week. Thank you, Libby. I think you and your coworkers will love it. 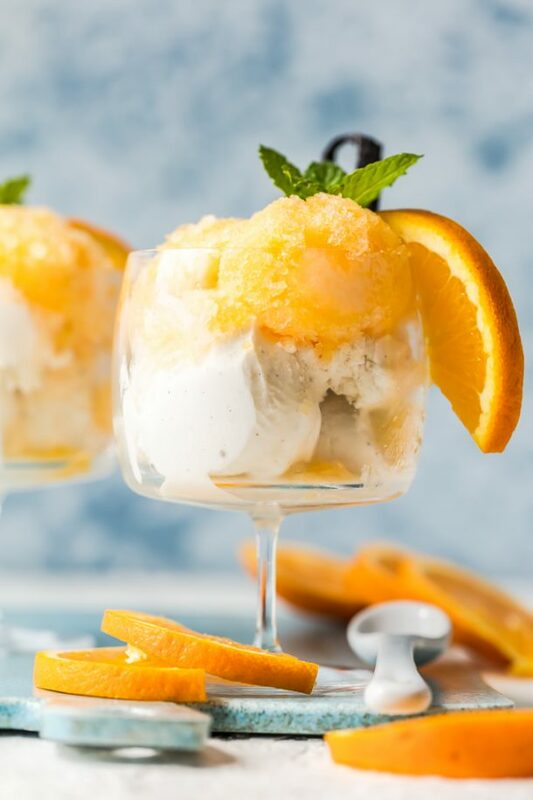 What a beautiful dessert! I love that it has marshmallows. Great idea! I could go for this tonight! Yum! 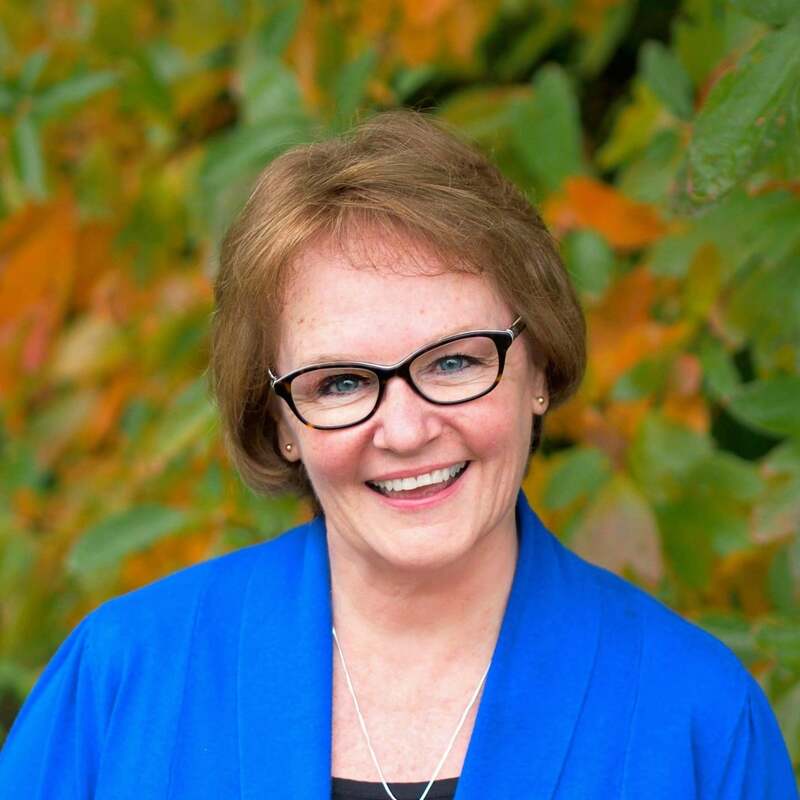 Thank you, Debi, and thanks for coming by. I believe Ernest Ball wrote "when Irish eyes are Smiling." Hello Kristin, you are correct. I had noted the writers of the lyrics but had failed to include the composer of the music. Thank you for pointing out my error and thanks so much for visiting Simply Sated. I do appreciate both. looks delightful!! Can this be made ahead and frozen? Hello Helen, Thank you for stopping Simply Sated and thank you for your question. I'm so sorry I can't help you, though. I have never tried freezing this pie, so I have no idea - I'm so sorry.